Learn how to send email, create a database and spreadsheet this Spring. UL Lafayette is offering a 1-hour credit course in Computer Literacy. 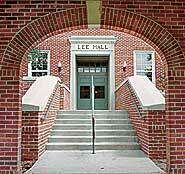 The course is taught by UL Lafayette faculty on campus on Saturdays from 8 – 10:50 a.m. The 2005 Spring semester begins Jan. 10.